This is very exciting software. I love the idea of it being connected directly to MB. I downloaded the dmg file, ran the program…and crickets… No sign of anything. It just doesn’t launch. Please ask me for any log, or system file you need in order to get it to work. Thank you for your time fellas! Please try moving the Picard app to your app folder and try again. I have heard of cases where it did not run directly from the DMG, don’t know why. Likely a packaging bug we should investigate. Also what version of macOS do you use? HI, Mine doesn’t open also . MacBook Air. I moved it onto apps folder as you suggested. still nothing. which download version i should chose for my MacBook Air - its Mojave 10.14.1? - i did the latest. plz help. Thanks! did you make sure the Picard app is in the “Applications” folder? It says I downloaded the disc image - did I miss something? it solved. my security was blocking it. Now it works. Thanks. Great, can you share some details on what you did? We should probably add this to the FAQ or something. I have a similar problem on my MacBP. Running the install app from within apps it just doesn’t run. No mention of problems in security. I deleted the old version 1.4 to install this new one if that adds any more info. This is from top of my head… so details not perfect. 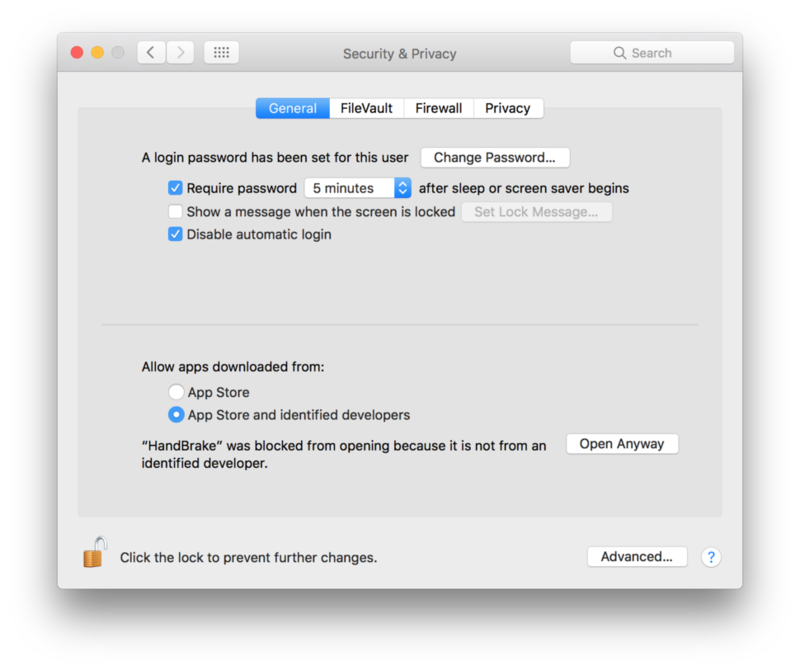 As the App is not coming from the Apple App store, your computer is paranoid. It just needs to be told it can trust it. Go into your System Preferences. Locate the Security & Privacy section, look for the General page. In here there is a warning about unidentified software being blocked. Click Open Anyway to grant the Musicbrainz applications permission. Remember to Click the Padlock to allow the change. Where you see the words “Handbrake” it is going to be Musicbrainz or Picard or something like that. I’m working on a client’s iMac at the weekend. If I get time, I’ll walk through the download and install procedure with my Noobie Hat on. Take a few screen shots, and see if I can spot where the hiccup is. I was guessing that when alisaroma said “my security was blocking it” that they were referring to the above “apps from unidentified developers” box. @Steveh100 well, there is your problem. You have an infected Apple Mac. “CleanMyMac” is a nasty bit of scamware. For other readers - this is not a Picard issue. Everything below here is boring to read unless you want to know about infected Apples. Funnily enough, the client’s Apple Mac I am looking at this weekend was infected with that scam last month. He had a few like that on there. And between them they had knackered his Security System. I know when I was trying to install correct anti-virus tools they were being fought off by CleanMyMac breaking the “apps from unidentified developers” section thereby stopping any other apps from being installed. In this case, specifically the proper scam cleaners. I expect that is the point that is failing on your Apple when trying to install Picard. I’ll be straight with you - that was a messy cleanup. I had to do a part manual clear up, and then throw a couple of different malware scanners at it. Finally finishing up with quality anti-virus. Shocking volume of items pulled out in the end - and all related to each other. Kinda funny that for years Apple had this “we don’t get infected” attitude… and in this past 12 months I have cleaned up more infected Apple computers that Microsoft! What is hitting Apple now is like ten to fifteen years ago on Windows. These are applications that claim to help, but really do the exact opposite. Not exactly a “virus”, just a plain old fashioned scam. I hope you have never paid for it?! And if you want actual clean-up assistance then I can offer my services. Don’t let the comedy name fool you - I am UK based and can run remote clean-ups using remote access software.